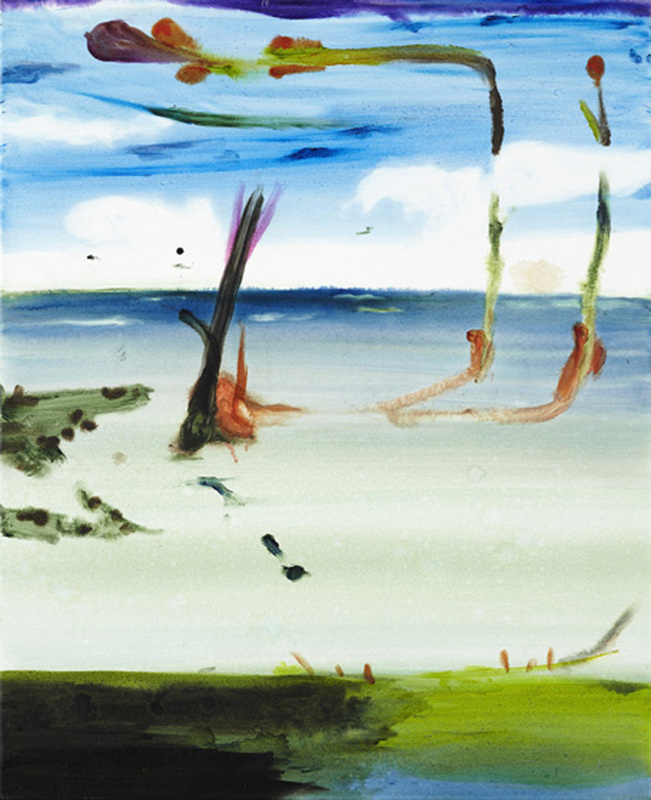 John Kørner’s paintings are playful explorations of the medium’s fundamental duality - its physical presence and its descriptive powers - and the potential for communication or miscommunication that ensues. Kørner has referred to these apparently cheerful paintings as ‘Problems’. The viewer is often presented with non-figurative forms including multicoloured ovals and dancing arabesques that symbolise a kind of prethought, and simple figurative elements that remind us of the ways in which paint can be used to evoke universally recognisable things: a bicycle, a crocodile, a ship, a person. When displayed simultaneously, often on grounds of intense colour, these abstract signs and nameable things cause the eye to dance between levels of recognition. These are highly rhythmic works, a reading pushed to the fore by the fact that, in repetition, Kørner’s abstract motifs often resemble cursory musical notation. 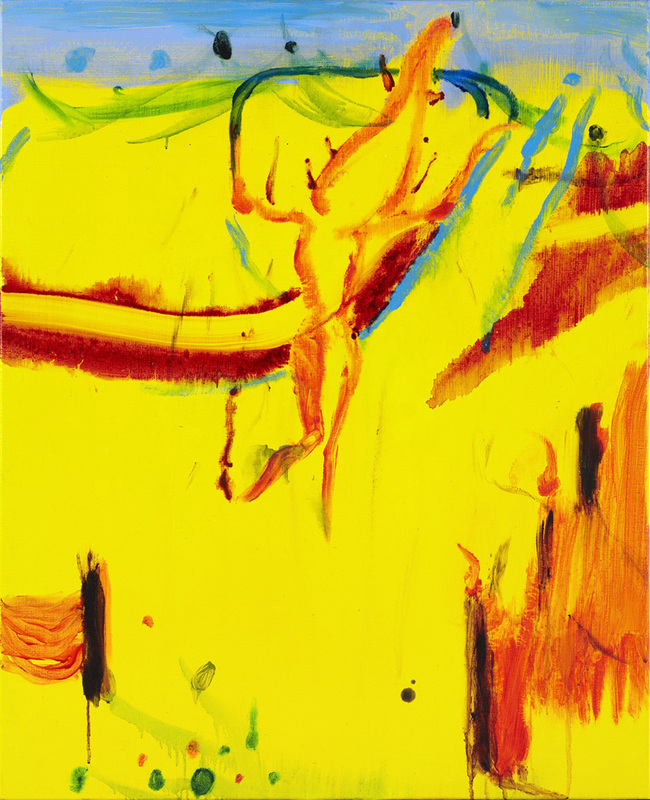 They are concerned with movement in the depiction of various modes of transport and types of activity - work and leisure - and in the fluidity of paint as it travels across a surface, veiling or breaking down the more diagrammatic elements of Kørner’s art and making manifest a sense of conceptual or thematic slippage. Indeed, the social aspect of the viewing experience is of particular interest to Kørner who sometimes shows his work outside the traditional confines of the gallery and creates installations in which elements of theatre and performance add to a sense of collective experience. 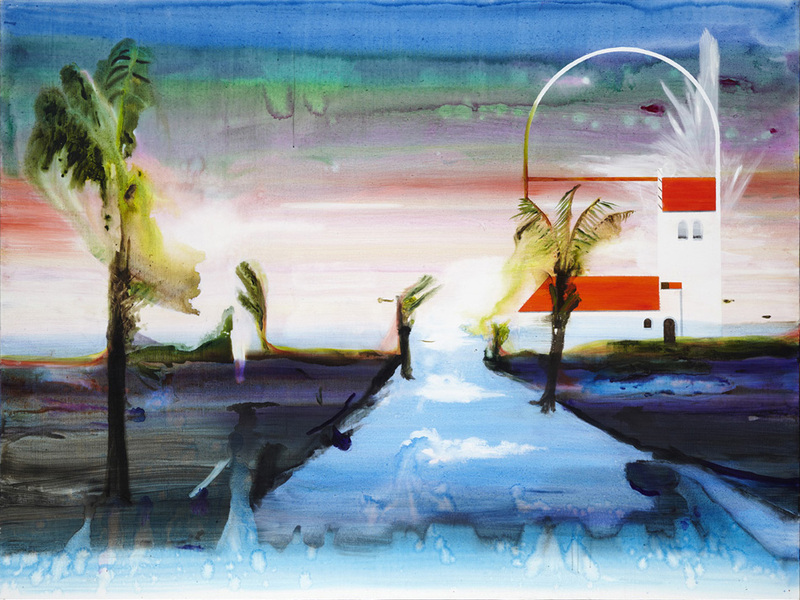 Born in Århus, Denmark in 1967, John Kørner lives and works in Copenhagen. 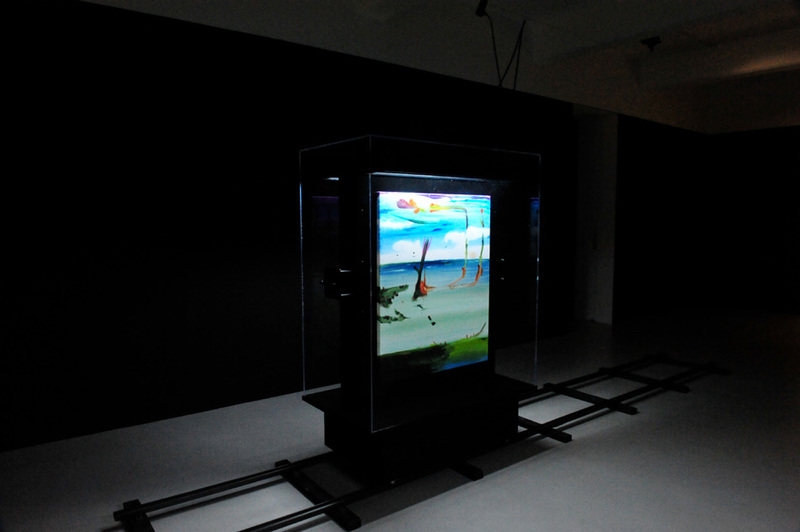 Kørner has exhibited at U-Turn Copenhagen Quadriennial (2008), ARoS Århus Kunstmuseum, Denmark (2006) and Moderna Museet, Sweden (2005).